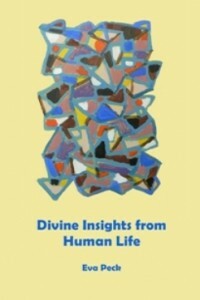 Divine Insights from Human Life is a collection of writings drawn from the author’s experience. Each begins with a story and is followed by reflections on the wisdom and/or spiritual insights gleaned from the various incidents. The book consists of two parts – Wisdom from Life and Spiritual Analogies from Life. I have chosen one of my father’s abstract paintings for the book cover because the colourful mosaic can be a symbol of what life is all about. In some ways, we are all like artists creating for the duration of our lives works of art. Our creations are shaped by our experiences as well as our gifts, liabilities, and unique makeup. Some also perceive a hidden and mysterious dimension to the art piece of our life in the transcendent Divine. I believe that a guiding Hand works behind the scenes, though often not noticed by us. While we have free will and choose our paths, which in turn lead to certain outcomes, there are times we are guided or led into situations that shape us and change the course of our lives in ways that we would have never expected or selected. Like the coloured shapes in the painting, our experiences come in various shapes and colours, that make us what we are – and we will be changing and growing till the last “brushstroke” is placed or the last breath exhaled. The various shapes can represent different types of experiences, and the colours within them can picture the nature of these experiences. For example, the browns and blacks might be difficult or even traumatic experiences; the bright colours positive or edifying experiences; and the whites and yellows highs and special insights. Some of life’s events may be both challenging and enlightening, as seen by the light and dark colours side by side. The yellow background can represent “blank spaces” yet to be filled before our life ends. My father’s painting, then, symbolically portrays what Divine Insights from Human Life is about – it consists of several patches from the mosaic of my life with reflections on the wisdom and/or spiritual insights that have been gleaned from the various incidents. The experiences in the first part of the book, Wisdom from Life, each include a challenge or a question, and then suggest scriptural principles for how to effectively deal with such a situation. No “best way” or “the way” is given as each person and their circumstances are different. However, the wisdom may be helpful when one is faced with similar dilemmas of life. The second part, Spiritual Analogies from Life, consists of stories, followed by biblical analogies and metaphors with the intent of providing glimpses into spiritual realities. For those who desire to learn more about the biblical teachings behind the conclusions, footnotes provide scriptural references. May the insights shared enrich you and help add bright colours to the mosaic of your life. I am still reading your interesting book and marvel at your knowledge. It must take so much time and effort to put something like this together. It is much easier to write a life story than to write something with references to the Bible. I am just amazed how much work you have put into this and other books. Once again thank you for your gift. In this book you let us readers look into your life in Saudi Arabia and your insights into life as a whole. For other comments and reviews, click here. Also available through Amazon and other outlets. Australian readers may find a better value for Divine Insights from Human Life at Fishpond which sells discounted books and delivers them postage-free. Downloadable as a free ebook in PDF format at http://www.free-ebooks.net or from this website at Divine Insights from Human Life. If you like the book, please consider writing a review on Amazon, Goodreads, or Free e-books. Visit http://www.amazon.com/Eva-Peck/e/B00DH68WPE for Eva’s related books as well as reviews.